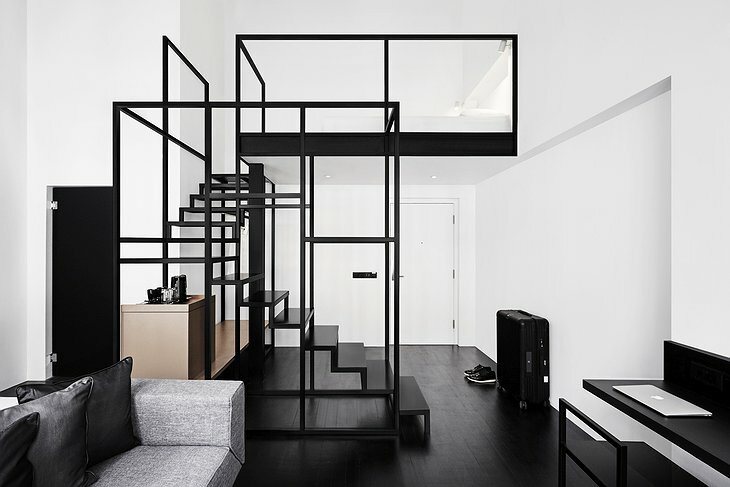 Amongst the dizzying colours and sounds of Singapore’s Chinatown, you’ll find an oasis of quiet in monochrome. 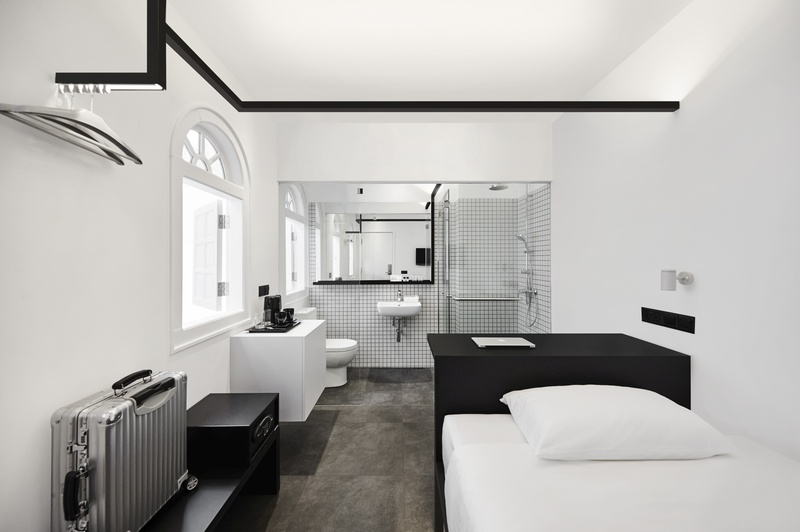 Hotel Mono is housed in six heritage shophouses and it retains some of the original architectural elements, such as huge Rococo windows and a stunning intricate facade. But there is a twist. Unlike the other traditional shops of Chinatown, this one is not popping with colour. 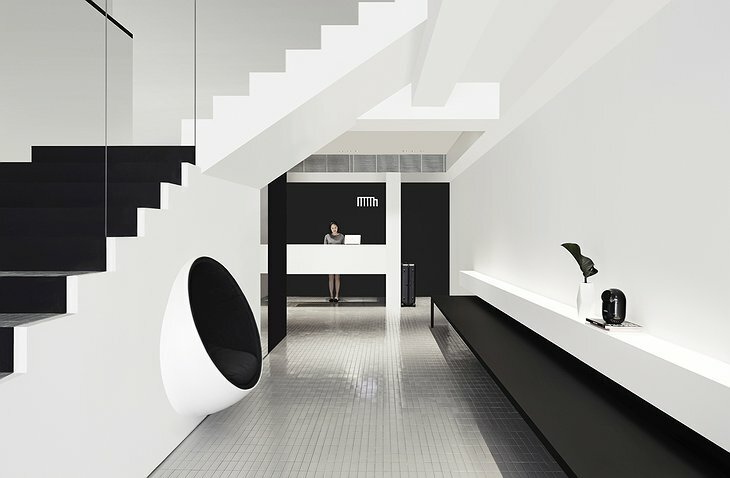 In fact, the entire hotel is furnished exclusively in black, white and grey. 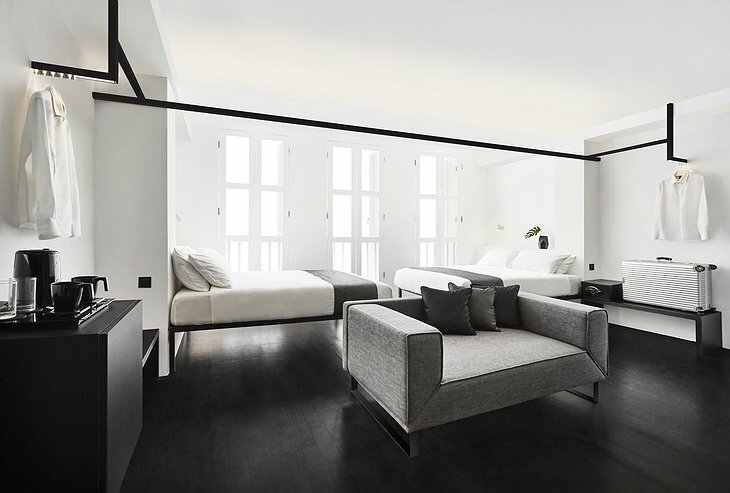 Each of the forty six rooms at Mono features the signature black and white design. 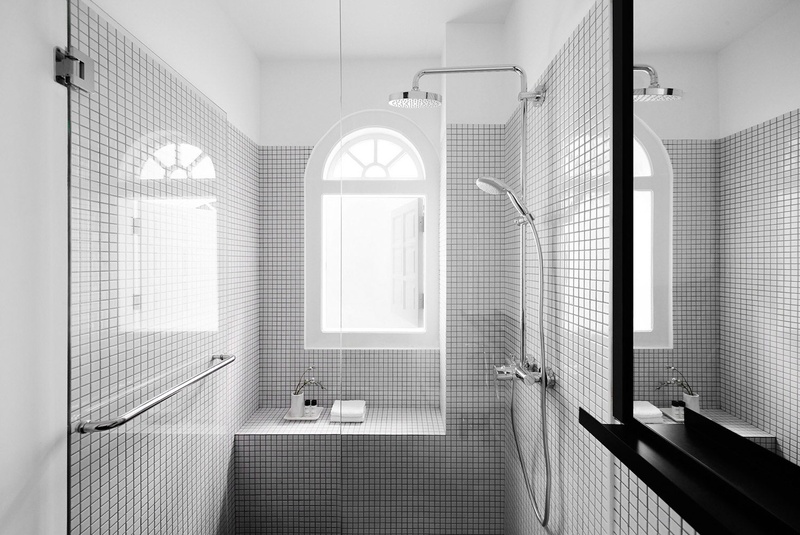 Even the bathroom tiles and the toiletries adhere to the colour scheme proving the designer’s obsession with the concept. From single room, through different standards of doubles, to the impressive loft room for families, Hotel Mono caters to different budgets and travel styles. 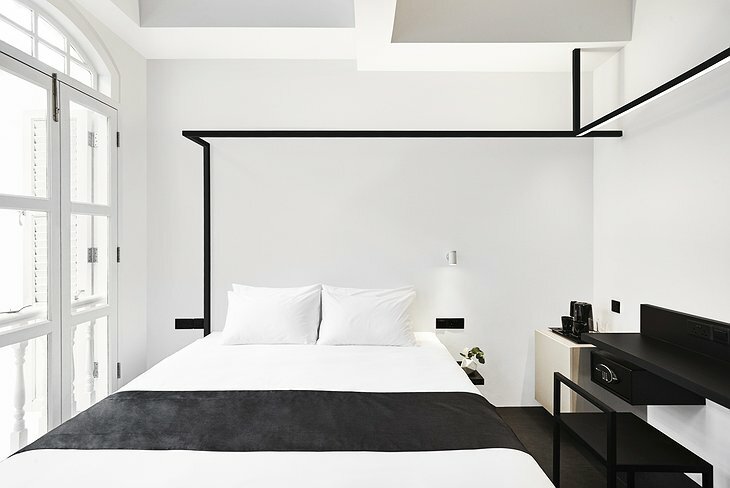 The hotel itself might have a quiet, relaxing atmosphere, but the location puts you right in the heart of the vibrant Chinatown district. If you’re a foodie, you’ll be delighted to know that the city’s biggest hawker centre, Chinatown Complex, is a short walk away and the Chinatown Street Market is basically right outside your door. And for more exploring, Chinatown MRT Station is 250 meters away.